If you are reading on this article, you must be looking for the way to download Prolific Usb to Serial Driver. Luckily, here is the right place you come in. We are going to tell you two trustworthy ways to download Prolific Usb to Serial driver. Go on with the ways below, get latest driver on your Windows. 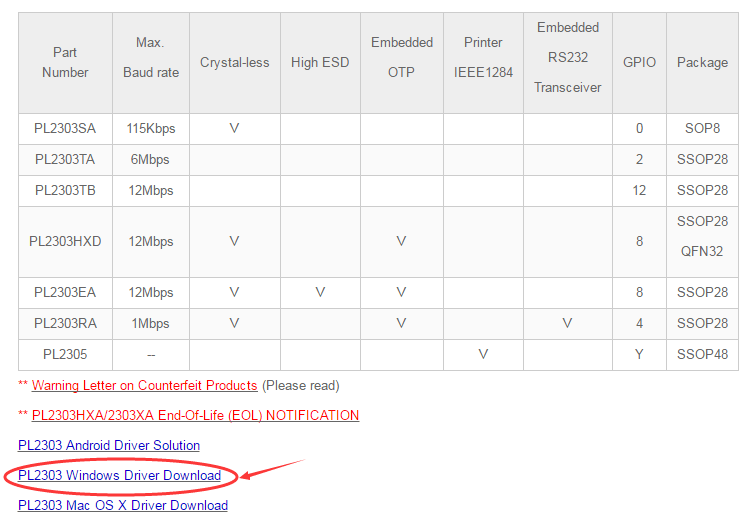 You can choose to download Prolific Usb to Serial driver from its official website. Follow the steps below. 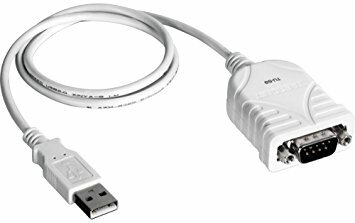 Go to Prolific Usb to Serial Driver download Center. 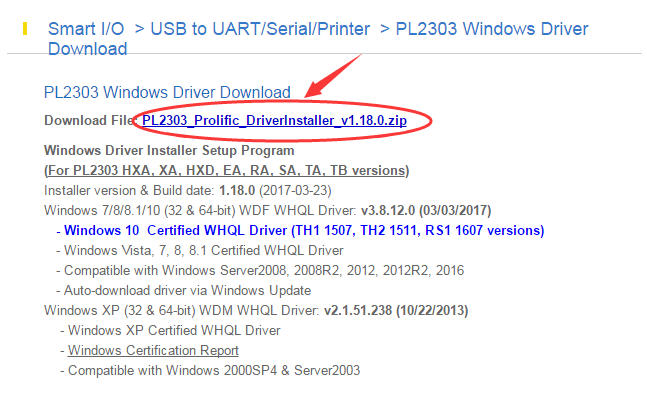 Click PL2303 Windows Driver Download. Click the .zip file to download. 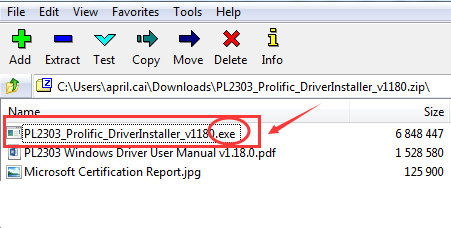 Open the downloaded .zip file, find and double click on .exe file to install the driver. Then reboot your Windows system to make the driver take effect. As you can see, you need to download and install the driver all by yourself in Way 1. To save your time, we recommend you an extremely useful driver tool — Driver Easy. Have a try on Driver Easy Free Version, it will offer the latest drivers for you to install. 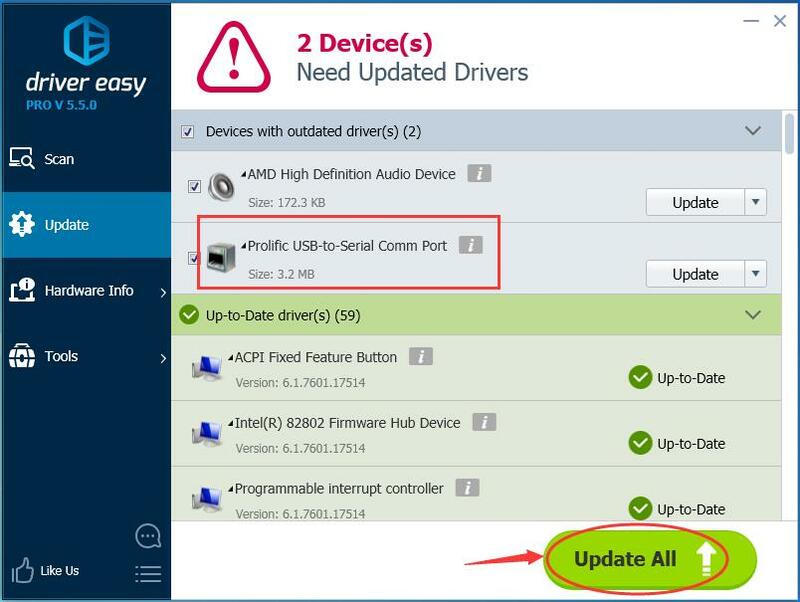 But if you upgrade to PRO Version, you can get all your drivers including Prolific Usb to Serial Driver up-to-date with just one click — Update All. So convenient and save time! No worry to try it as you can enjoy 30-day money back and professional tech support anytime guarantee.TRY NOW!